In some areas, Belarus is very much like the rest of Europe. Its population is rapidly ageing. But unlike its western neighbours, Belarusians benefit from one of the lowest retirement ages in the world – 55 years old for women and 60 for men. To put it into context – in Poland the Parliament recently approved the increased the retirement age to 67 for most Poles. Today pensioners in Belarus make almost a third of the population. Still young Belarusians know little about pensioners’ lives and troubles. 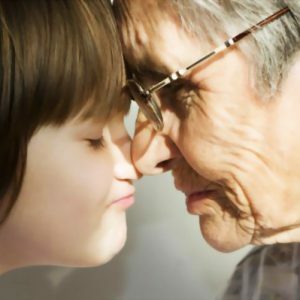 For them, ageing people fall into two very different categories: their own grandparents and the rest. The first bunch have wise eyes, soft hands, and the tastiest pies. The second is queuing in state hospitals, selling apples near the metro, and grumbling in public transport. Belarusian employees know that 29% of their salaries goes to support the current pensioners, but nevertheless pensions have remained remarkably low. A very unfavourable ratio between workers and pensioners (100 to 57) partially explain this. And in the future the share of pensioners will grow even further. This demographic time bomb may seriously undermine the social security system of Belarus. Now the government has proposed a new solution to the problem. Will the Pensions’ Novelty Work? By 2020, there will be 67 pensioners for every 100 working people. Each two workers will have to support three pensioners. The socialistic pay-as-you-go pension scheme used in the country has turned into an unbearable load for the nation. Still Belarusian authorities do not want to consider fundamental changes in the current pension scheme. Instead, the government has chosen to motivate elderly people to work longer without giving them pensions. After the pensions’ novelty has come into force, people reaching retirement age and willing to work further have to make an important choice. They may decide not to get state pensions while they work and thus increase their future pensions. Alternatively, they can get their pensions while working after retirement age, but their future pensions will not rise. The right choice requires a careful calculation. If people work for five years after reaching the retirement age without getting pension during these years their future pension will increase by 50%. But during these five years they do not get any state pension. The lost pensions will come back to people only in ten years after they finally retire. Considering Belarusians life expectancy, that may be too late. Another reason for low popularity of the new rules is very high inflation rate in Belarus. In 2011, inflation in Belarus was over 100% – the highest in the world. The promise of more Belarusian roubles in the future may turn out to be rather empty. Shall Belarus Raise the Retirement Age? Raising the retirement age seems like the simplest solution. Now it is one of the lowest in the world: 55 years for women and 60 years for men. But Lukashenka has declared that ageing people have asked him not to raise the retirement age and therefore he will not do so. However, just recently, a Deputy Minister of Labour declared that everybody understands the need for an increase in the age of retirement. He explained that the current threshold has existed since 1956 when pensioners had lived through war, collectivisation and the difficult post-war years. Now, according to his words, the situation has changed and people can retire later. Although the life of contemporary Belarusians may be easier than decades ago, their life expectancy has fallen. According to Antonius Broek, UNDP Resident Representative in Belarus, in 2010 average life expectancy was shorter compared to 1970 only in 9 of 169 countries monitored by UNDP. Belarus is one of them. Broek noted that while in 1970 Belarusians’ life expectancy made 71 year, in 2010 it was only 69.6 years. Referring to deteriorating of life expectancy since 1970, some more Belarusian statistics attract attention. The total consumption of alcohol in Belarus from 1970 to 2011 increased almost twice: up to 11.39 litres per person. The link looks obvious, and why so many people seem to ignore it is hard to explain. The figures make Belarusians think once again whether it is really worth prolonging the retirement age now. Moving the retirement age up would be very unfair to Belarusian men. As it now stands, their average life expectancy is only 64.7 years of age (compared to 76.5 for women – which is one of the largest gaps in the world). Pensioners’ folklore has already expressed its opinion on this matter: “From machine to coffin”. Proud of its social orientation, Belarus will probably use rise of pensions’ age only as a last resort. The early retirement age does not mean, however, that Belarusian pensioners enjoy an easy living on their pensions. In January – August 2012 pensioners were getting on average only about $155 per month. For this money you can afford a average winter coat or one pair of good shoes in Belarus. How all these people manage to make ends meet remains a mystery. But it is a real miracle, that with this small amount of money that they have, pensioners still continue to give money to their children and grandchildren. About 25% of Belarusian pensioners continue to work afterwards even without the new incentives. Many pensioners move to dachas and villages, where they grow harvest for themselves, all their relatives and even for sale. In Minsk, single elderly ladies earn by leasing a rooms in their flats, which usually benefits them even better than pensions. “Pensions would be enough if it was not necessary to help the youth” – this is what you will often hear from pensioners around Belarus. Pensioners give money to their children even if the children are living well. That represents an eternal source of parental happiness in Belarus. Hardly any economic troubles or progress will change this. And, for sure, the main preoccupation of Belarusian pensioners is their grandchildren. By the time a Belarusian woman retires her grandchildren are often between 3-13 years old. This turns to be the best time for mothers to return to active work and grandmothers start to take on their own part in the rearing of the child. As a rule, children welcome such changes. They get the tasty dishes, an inexhaustible source of interesting stories and an everlasting atmosphere of love. With a very strong link between generations in Belarus, it is hardly possible that the youth will ever demand a rise in the retirement age or any other measure deteriorating the position of pensioners. Instead of thinking only about putting more pressure on those who work the government should also seriously consider considerable increases in productivity rates, longer life expectancy and a serious reform of the pension system. The latter seems to represent the easiest task. However, only when all these three elements will effectively come into play will Belarus be proud about its care of the ageing people. On 26 October, Belarus state television showed another criminal movie about independent Belarusian community. This time to prevent crimes Department of Financial Investigation staff members confiscated scholarly books written in Belarusian. The authorities confiscated over 5,000 books from a former chief editor of Arche Valery Bulhakau. According to state TV-channel, these books are “stinky literature" and "works, leaning towards extremism." Seizure of Valery Bulhakau’s books is the next stage in the fight of authorities against Belarusian intellectual community. This September the authorities already sacked academics for writing books and fairy tales. In Belarus state-owned houses publish almost exclusively pro-governmental authors. People do not buy their books and consequently authorities just send them to the libraries. In these circumstances, independent publishing houses carry out the function of studying Belarusian history, normally performed by the state. The story of Arche magazine serves as a good illustration of it. Arche is a humanitarian monthly journal about Belarusian history, politics, art and literature. Since 1998 not only Belarusians publish there, but also foreign intellectuals. In addition, Arche translates works of global researchers like Andrew Wilson or Zbigniew Brzezinski into Belarusian language. Now it seems that the authorities decided to close down the journal. On 14 September, chief editor Valery Bulhakau presented in Hrodna a new book from Arche magazine series on "The Sovietization of Western Belarus." During the presentation, tax inspectorate staff did "test purchases" of several books. Mr Bulhakau was seeling the books without any receipts, and therefore was accused of illegal business activities. Belarusian authorities decided that Dr Valery Bulhakau broke the law, although the sale of books without receipts at book fairs is a common practice around the world. Clearly, the offence is only an excuse to launch a wave of repression against Arche. In addition to targeting Bulhakau, he authorities also plan to deprive the magazine’s incense. 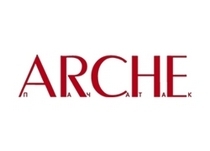 With no bank account, it will not be possible to publish a new edition of Arche. Today, Valery Bulhakau does not rule out a criminal case against himself. By the way, to take re-direct the impact away from the journal, Mr. Bulhakau resigned as its editor-in-chief. Today, another well-known Belarusian intellectual Ales Pashkevich performs the duties of editor-in-chief. Obviously the society with free mind stands in the authorities’ way. By closing Arche they want to scare all Belarusian intelligentsia. The aim of authorities is to marginalise Belarusian independent research and publication. It is very important for the state ideologists that humanitarian researches should not go outside the frames set by the authorities or shatter the ground of the official pro-soviet history. Today, authorities are trying to accuse Arche of extremism.State propaganda claimed that seized books "give dubious interpretation of Belarusian history during the Nazi occupation." Among 20 different titles which were seized, only two related to the Second World War. Belarus state journalists were impressed by a fairly common thesis among historians that the Soviet Union was itself planning an attack against Hitler's Germany. According to the state television, through such statements Arche publishers are “promoting Nazis’ speeches at Nuremberg trial". Belarusian historian Uladzimir Lyakhouski demanded an apology from Belarusian Television to Arche. In his view, "comments and the visual sequence accompanying the report can be interpreted as Goebbels’ technique, through which the truth is replaced by lies and falsification." It is not the first time they call Arche an extremist publication. In 2008, customs officials confiscated from Ales Pashkevich several copies of the magazine. That edition was about the Grand Duchy of Lithuania, but also had several articles about Belarusian politicians. Exactly these articles a court found extremist at that time. However, when Arche magazine filed an appeal, the KGB decided to withdraw its claim. Harassment of the magazine became a cause for reflection what Arche represents for Belarus. The titles seized from Bulhakau included books about the first Belarusian city of Polatsk, the Grand Duchy of Lithuania, famous Battle of Grunwald, Belarusian People's Republic. Generally, Arche editions cover the whole Belarusian history – from ancient times to its contemporary problems. Arche magazine is a Belarusian intellectual centre, which collects research about Belarusian history at the time when the government censors such history. In fact, Arche perform tasks that the Ministry of Culture and Education should perform. Also, authorities still do not like the journal's international recognition. Incidentally, Arche is a member of Eurozine network, which combines cultural magazines across Europe. Will the Magazine Continue to Exist? Valery Bulhakau says to preserve Arche in current format is almost impossible. It seems that the magazine will have to completely migrate to Internet. At the same time, it is clear that the Internet is not really suitable for long scientific research articles. To rescue the journal, many in Belarus call for demonstration of solidarity – both in Belarus and abroad. Belarus Digest discussed the journal's future with acting editor in chief Ales Pashkevich. Pashkievich said that it "was difficult to predict what the case tends to. The result may be cancellation of the magazine’s registration, or imposing huge fines on so that it stops existing by itself." Pashkievich assured that Arche stuff will do their best to continue their work and asked people to show solidarity and send written requests to the Ministry of Information. Staff members of the Department of Financial Investigations of the Committee of State Control do not give any comments on Arche’s case. It could be that the authorities have not yet made ​​a final decision to close down the magazine. The final decision may depend on how broad the solidarity with Belarusian intellectuals will be.